For this assignment was got numerous video footage of two men looking towards the horizon at 5 men dressed as soldiers. The multiple videos were of the same 5 men walking towards them at different positions. We needed to take this footage and make it seem as though a small army was marching towards the 2 men. 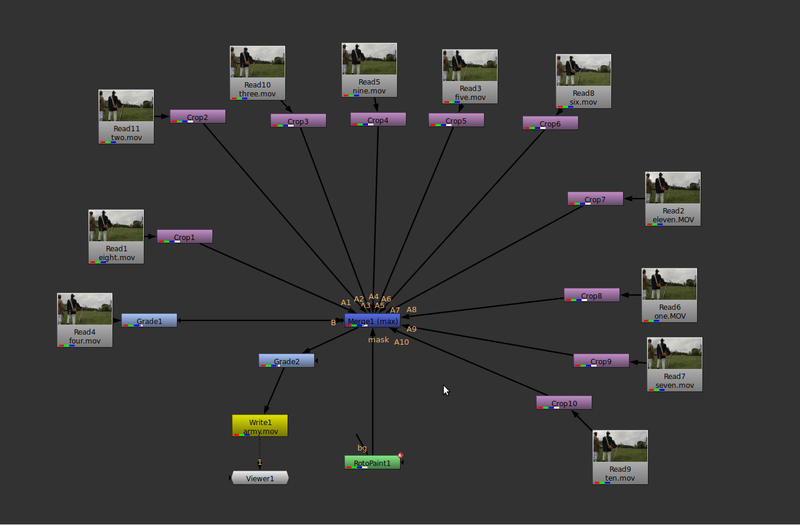 For this I merged all the scenes using the merge(max) node in Nuke and used a rotoscope for the mask.